Love Windows 10? Hate it? Either way, it can’t hurt to know it better. 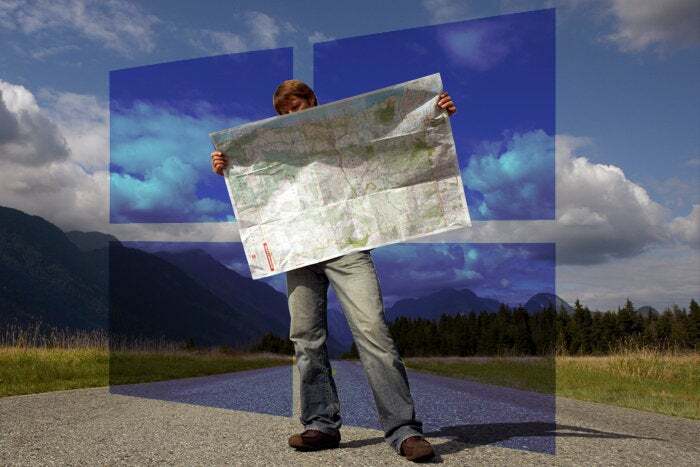 From the obvious to the insane – with lots of useful tips in between – here are 23 insights into Microsoft’s ultimate version of Windows. You probably use it every day, or maybe you just joined the Windows 10 club. Maybe you hate it. Maybe you love it. Either way, unless you have a lot of time on your hands, it is probably keeping secrets from you. It certainly has habits that irritate you. 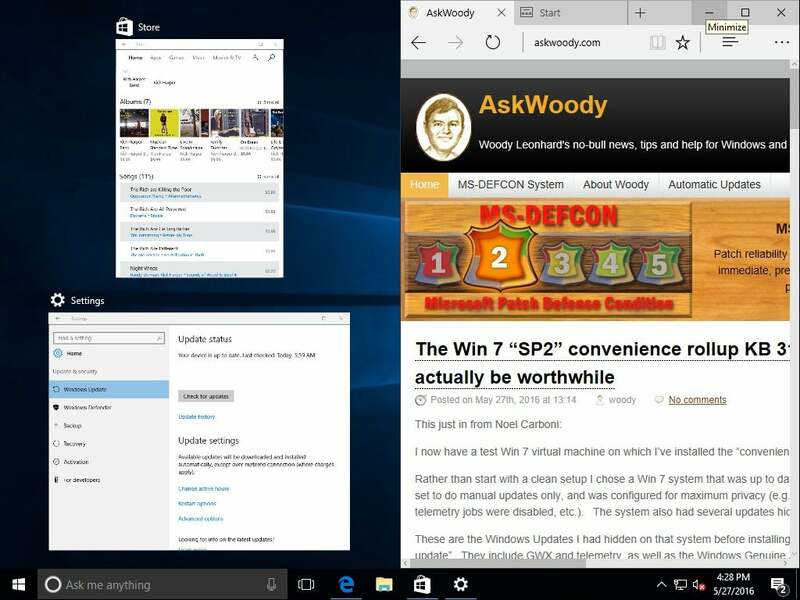 Knowing those secrets -- and how to change them -- can make your relationship with Windows 10 easier. That’s where this deep dive comes in. 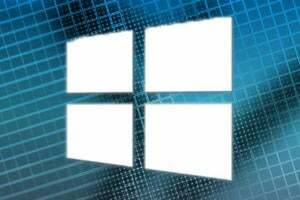 If you have resisted Microsoft’s ultimate Windows version until now, breeze through these slides and get up to speed on its main features. You will find 23 nitty-gritty tips that will help even an old hand live happily with this tool. 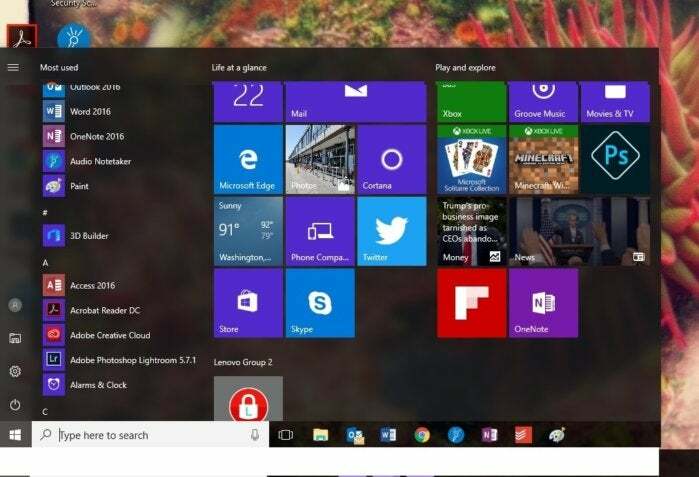 To the relief of pretty much everyone, the tiled user interface unveiled in Windows 8 is now hidden behind the curtain of the Start button, which looks a lot like the old Windows 7 Start menu. Click the Window icon to reveal the three parts of the Start Menu. On the left, a collection of icons gives you shortcuts to common actions and locations. In the middle, the installed programs are listed in alphabetical order. On the right, in the open Tile field are apps from various and sundry sources. You can play with the app tiles to your heart’s content. Just right click on them from here. But if you want to change the Start menu list, you need a third-party add-on such as Start10 or Classic Shell. 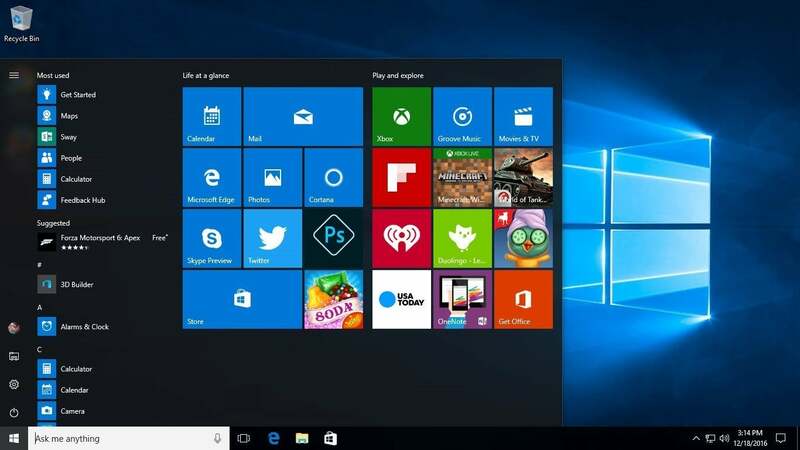 Windows 10 made improvements in security over previous versions and Microsoft’s Edge browser became part of the bargain. Windows 10 also houses Microsoft’s intelligent assistant Cortana. This voice-activated A.I. occupies the Search box to the right of the Start button. I like A.I. I frequently use Okay Google, Amazon’s Alexa, and Siri. But Cortana seems more like a novelty than a trusted companion. Why? Pull out your phone and do a side-by-side comparison. Windows 10 now also offers some nifty biometric log-on methods. It can confirm your identity by scanning your face, fingerprint, or iris. 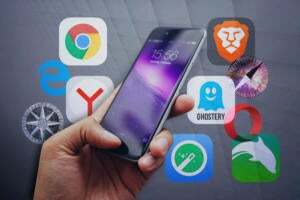 It’s more secure than a password, but even though I use fingerprint scanning on phones and tablets, I am creeped out by a Hello-enabled computer that recognizes me. This is my own quirk. You might like the convenience. Sometimes it helps to get the big picture on your current work load. 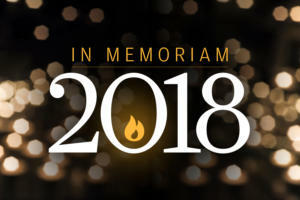 For this, computer users have long used Control/Alt/Delete to quickly see what programs, Web pages, and tools are running. Windows 10’s Task View is a better version of that. 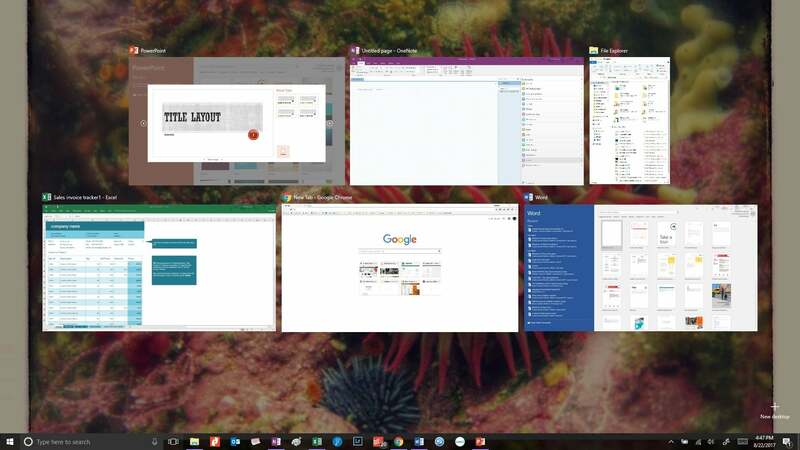 It shows you all your open windows at once and lets you create virtual desktops with different arrangements of apps, if you like that approach. The easiest way to get to it is to click the Task View icon, just to the right of the Cortana Search bar. It brings up everything you are working on in small selectable windows splashed conveniently across your screen. Windows Ink is great for creative types; you’ve probably seen it demonstrated in Microsoft Surface TV commercials. 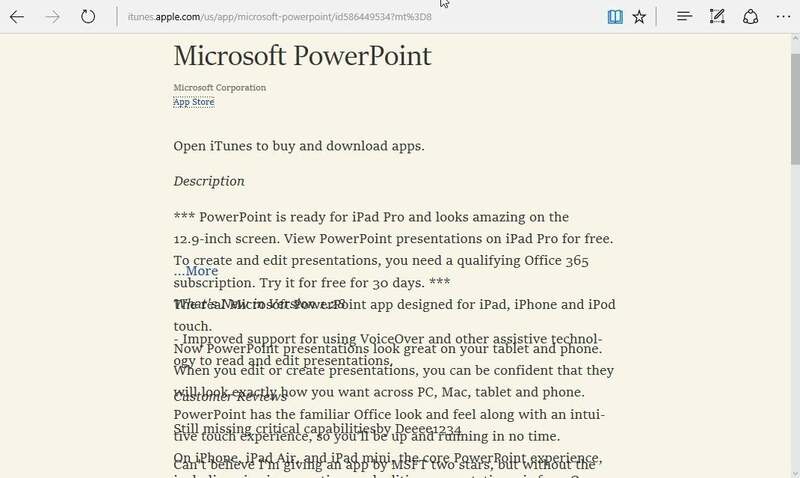 It lets you write directly on the screen in apps that support it or in Windows Ink Workspaces. Want to write on a Web page to quickly call something out? Just tap the pen icon, choose Pen Sketch, and get to it. There are plenty of other ways to write on your screen. Go ahead and play with it. Here’s a feature I use all the time: Snap Assist. If you work on a big monitor and like to see more than one thing at a time (say, when you are filling in a form or comparing file versions), you'll love it. Here’s how it works: I drag a window to the edge of my screen. Windows automatically resizes to half-screen size. That was easy! Sometimes it’s the little things that make life easier: a useful feature or a key in the right place. You can even snap to the four corners of the screen, and the desktop shows you which open programs can be clicked to fill in the open spot (as shown). You can change the way your computer looks easily enough. Why not? You work here. Make it yours. Click Start > Settings > Personalization. On the left, choose Colors and click the button marked Dark under Choose your app mode. Then on the left choose Start. “Show more tiles on Start” setting makes tiles appear four abreast in the tile part of the Start menu, instead of three. That’s useful for those with wider monitors. 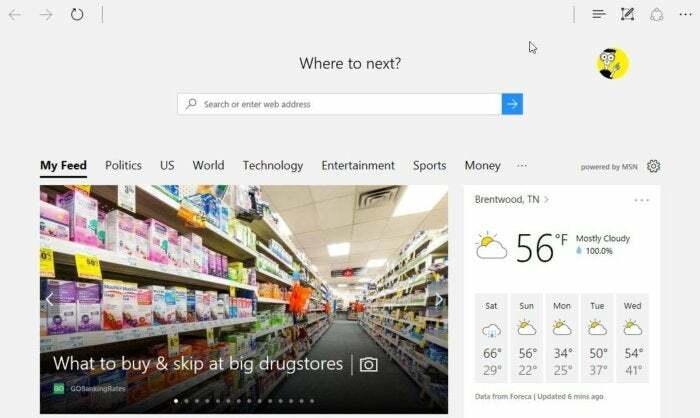 “Occasionally show suggestions in Start” lets Microsoft put advertising in your Start menu. Turn that one off. 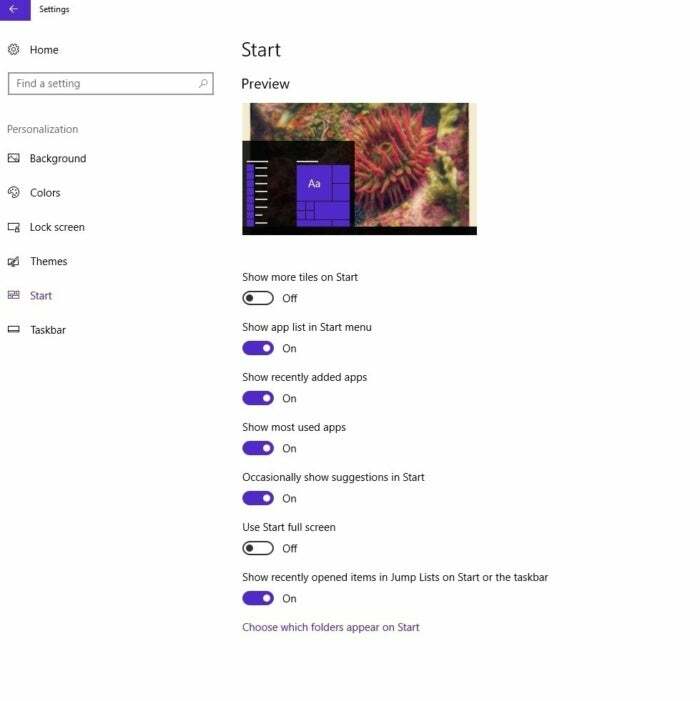 The “Choose which folders appear on Start” link leads to a list of folders you can plaster in the column on the left side of your Start menu. For most, it’s unused space that can be put to good use. One of the biggest complaints I hear about Windows 10 is its insistence on installing updates as soon as they roll off the assembly line. Many users, particularly experienced ones, want to see if a patch causes problems before applying it. I’ve advocated this approach for more than a decade. Here’s an easy way to turn that off, at least if you connect via Wi-Fi. When you’re ready to install the update, turn off the protection long enough to do it, then turn it back on. That last slide should help you bypass all updates until you’re good and ready, but it doesn’t hurt to have yet another line of defense. Windows 10’s insistence on installing drivers has led many a grizzled veteran to drink. But you can turn off driver updates for any particular piece of hardware. It’s a pretty complicated process so you probably don’t want to do it for everything, but it might be worth it if you have a piece of obscure hardware running smoothly and are afraid that updating the driver will mess that up. There’s a four-step process described in my 20 ways to hate Windows 10 less slideshow. Windows File History backs up your files. In fact, it backs up many versions of them. If you lose data, this can be a very handy tool – if you have it set up. 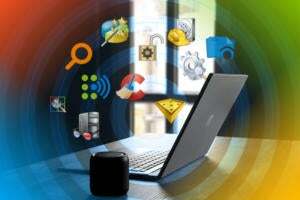 To use it, you need an external hard drive or network connection that leads to one. For a network drive, click “More options,” then Use Network Location, Add Network Location, and point to the drive. To get at an earlier version of a file, right-click on it and choose Properties > Previous Versions. 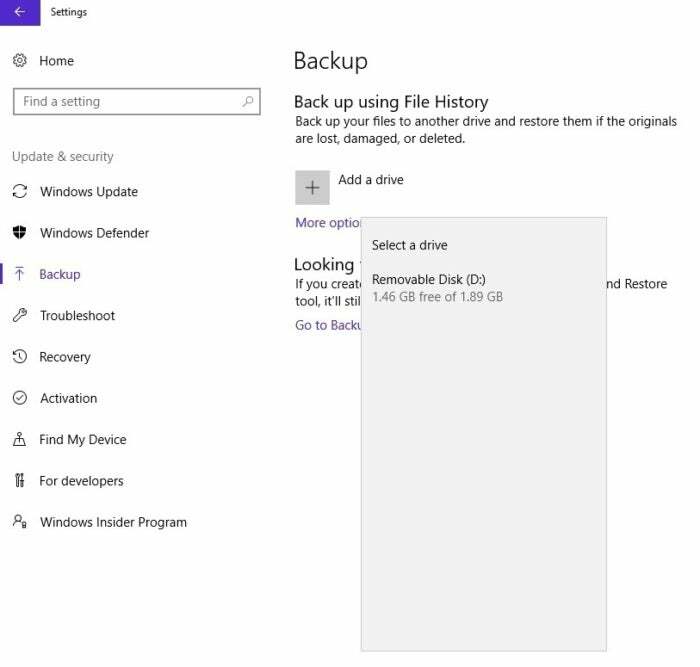 Windows walks you through finding and restoring it. If you want to restore an entire folder, right-click on the folder and choose Previous Versions. 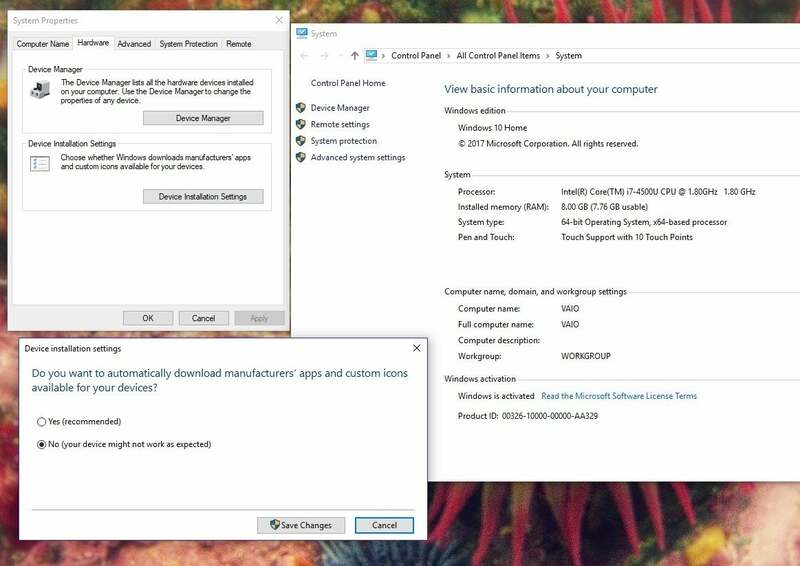 They’ve fallen out of fashion with Microsoft’s recent emphasis on system resets, but the old Windows 7-era System Restore works in Windows 10. If you run into a serious technical glitch, you can use it as a fast way to get your machine back on its feet. Your machine probably has restore points turned on already, but it’s best to check. 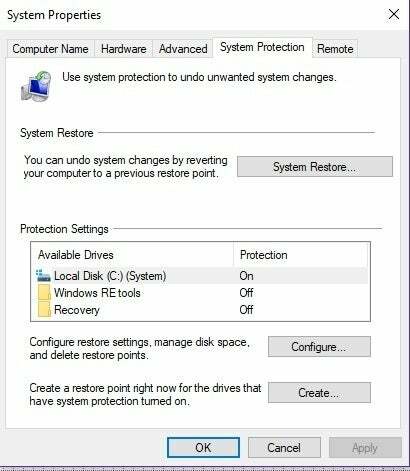 In the Cortana search box type “restore point.” Click “Create a restore point.” In the Protection Settings box, look for your important hard drives and make sure they’re set to Protection On. If none are set up, click on the drive, click the box marked Configure, and in the following dialog box, click “Turn on system protection.” Click OK and you’re done. You can futz with the settings by clicking on the Configure button, but there’s rarely any reason to change the defaults. 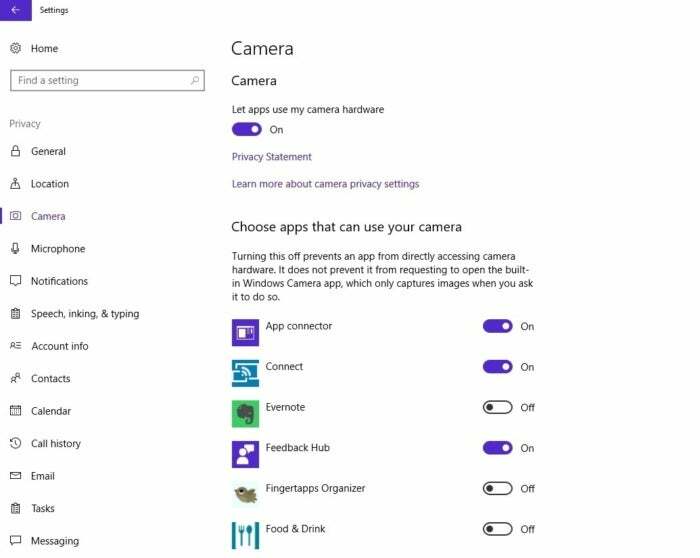 If you have a fancy Hello-capable camera or fingerprint reader, you can use that to skip the log-in requirements of Windows. Even if your hardware isn’t Hello ready, you can use a simple numeric PIN to log in, or convert to a picture log-in. Both have advantages over typed passwords; I find the PIN to be convenient. To set a PIN, click Start > Settings > Accounts. On the left, choose “Sign-in options.” Under PIN, click the box marked Add. (If you already have a PIN, you get the option to change or remove the PIN.) 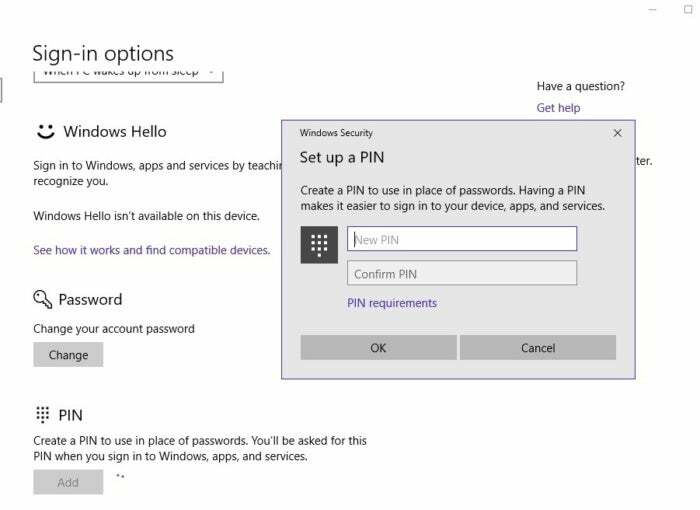 Windows will verify that you know your current password, then prompt you for a PIN of your choosing. Sometimes you don’t want to use a Microsoft cloud account. Maybe you're troubleshooting, worried about privacy, or just want to go dark. 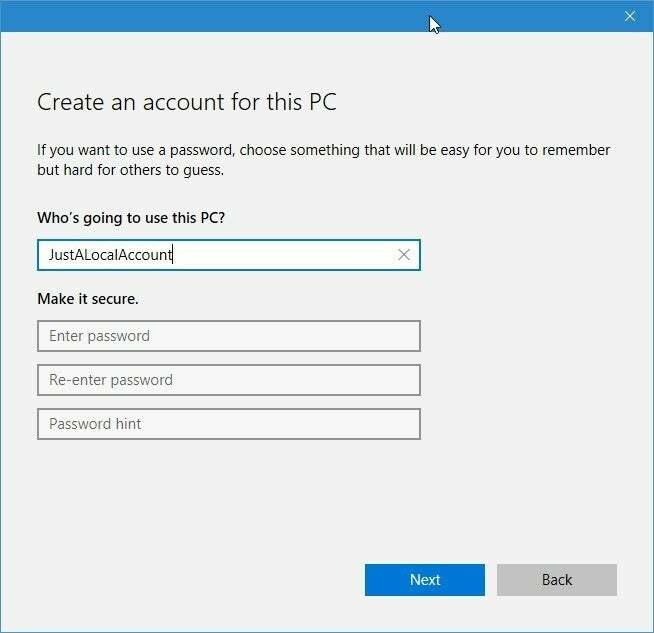 Fill out the “Create an account for this PC” dialog box, enter a password, and click Next. At the “Family & other people” screen, your new account appears near the bottom. Click on it, then click “Change account type.” In the drop-down box, choose Administrator. Click OK. 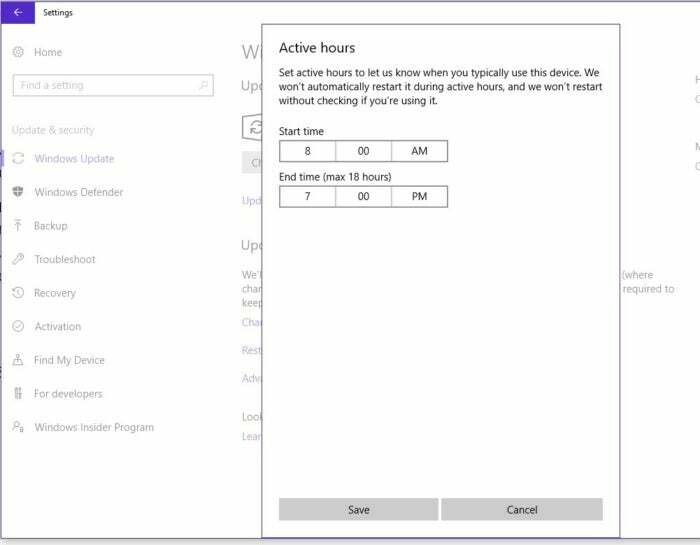 The Active hours feature lets you tell Windows not to install updates during a specific window during each day. Click Save and “X” out of the Settings app. Under the “Change active hours link” there’s another link for Restart options. That’s where you can set a specific, one-time restart. Computers often come with a lot of crapware installed. Much of that junk runs automatically when you start your machine and can slow things down. But you can clean it up. Use the Task Manager Startup tab. Press Ctrl-Alt-Del, choose Task Manager, click the Startup tab to see a list of your startup applications, their helper programs, and sometimes problematic programs that run every time Windows starts. Unfortunately, many bad programs find ways to squirrel themselves away, so they don’t appear on this list. 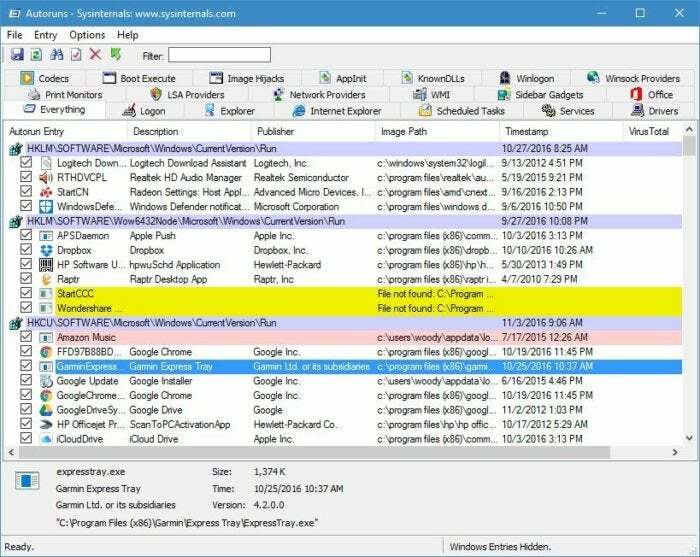 Microsoft’s free program Autoruns will dig through every cranny of Windows, ferreting out autorunning programs. If you really want to clean up, download and run it. Edge has a bad rap – for good reason, in my opinion. Microsoft released Edge at least a year before it was ready. But, since then, Edge has gone through a lot of changes and is emerging as a decent alternative to Chrome, Firefox, and Safari. In almost every way that normal people would use it, Edge blows away Internet Explorer. If you haven’t given Edge a try, take it out for a spin. You might be surprised. Click or tap on the Edge icon in the taskbar -- it’s the one that looks like an “e” in a blender. When it works (it doesn’t always), Reading View does a remarkable job of stripping away the crud on a website and cutting to the meat of the page so you can read distraction free. Find a website that supports Reading View, and click the icon up near the address bar that looks like an open book. That icon activates Reading View mode which, as you can see in the screenshot (Microsoft’s PowerPoint entry in the iTunes store), doesn’t always work. 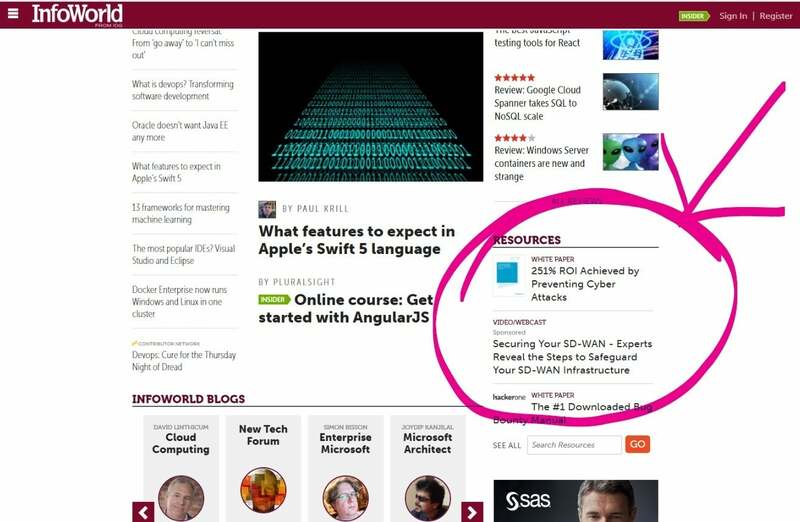 Click or tap the Reading View icon again to bring back the ads and links. 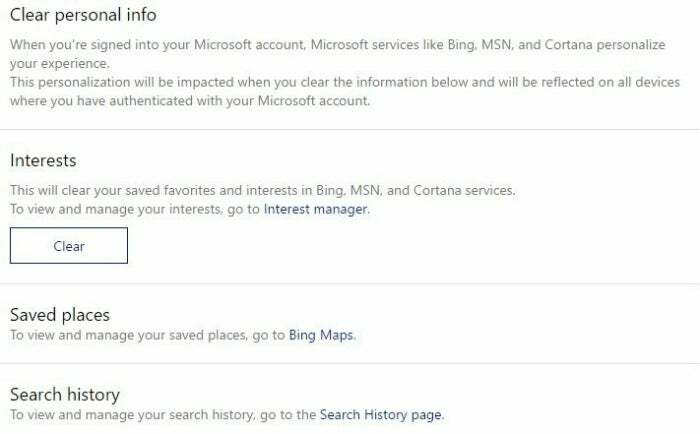 Microsoft wants you to search with Bing but that doesn’t mean you have to. It takes some hunting to find the setting, but it’s easy to change the default search engine. Click the link ellipses in the upper right corner of Edge, then Settings. Scroll all the way down and click View advanced settings. Then scroll way down and click Change search engine. Walk down that long and winding road and you will end up in the Change search engine pane. 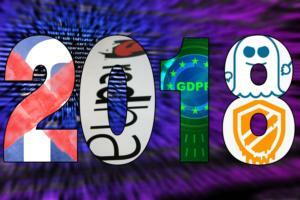 The pane shows crumb trails of all the websites you’ve visited that have associated search engines – and a few more. Choose the search engine you want, click Set as default. From that point on, searches made from inside Edge will use the search engine you choose. 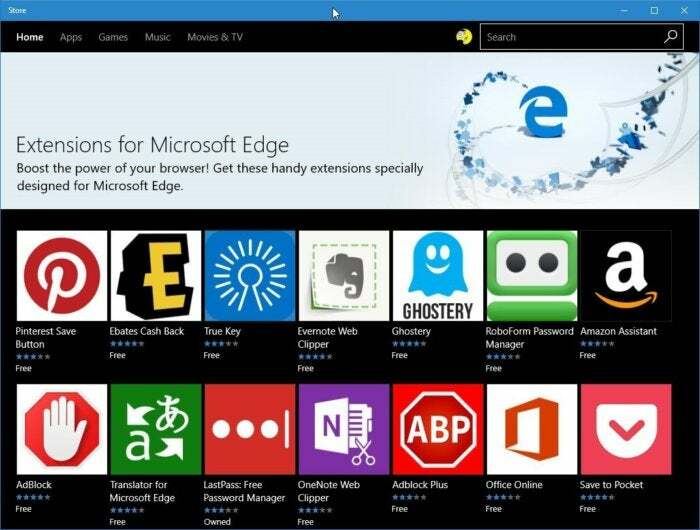 Microsoft is slowly building a collection of Edge extensions. With more than 21 extensions available -- half of which don’t come from Microsoft -- we’re seeing incremental steps toward true Edge customization. Click Launch. 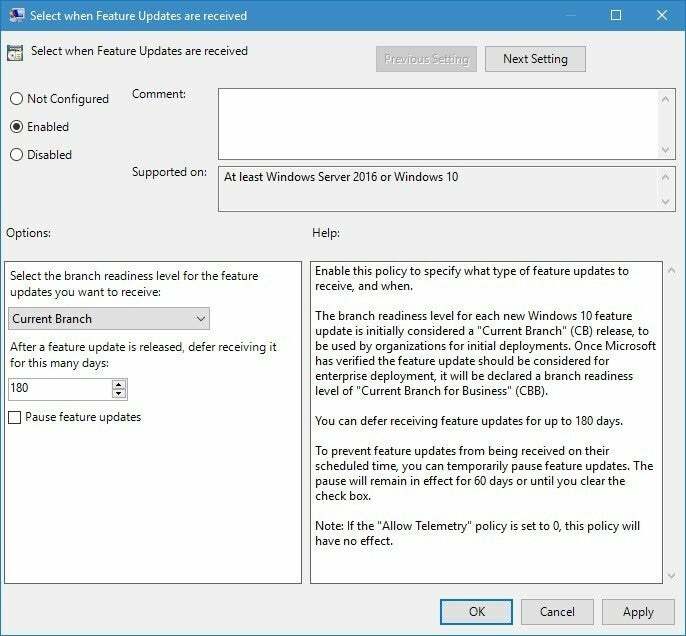 You will return to Edge, where the right flyout pane shows “You have a new extension.” Accept the intrusions listed, then click Turn it on. To put the extension on the address bar, hover over the extension name in the right flyout pane and click the Settings icon. If the extension can be placed on the address bar (not all of them can), flip the “Show button next to the address bar” slider on. 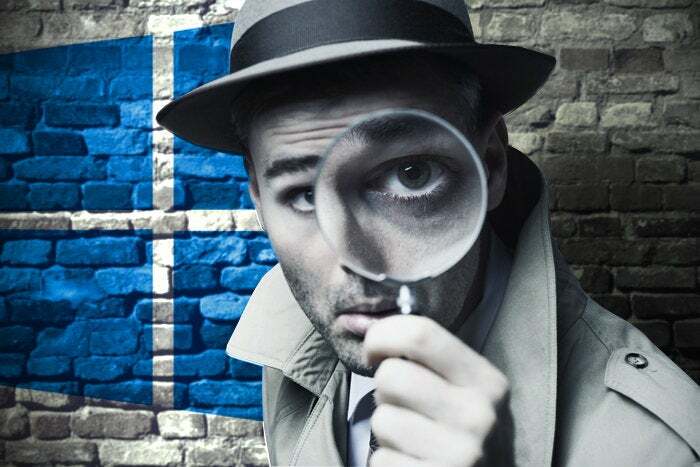 Windows 10 snoops – collects information about you – so Microsoft can sell you things. There is no way around this. 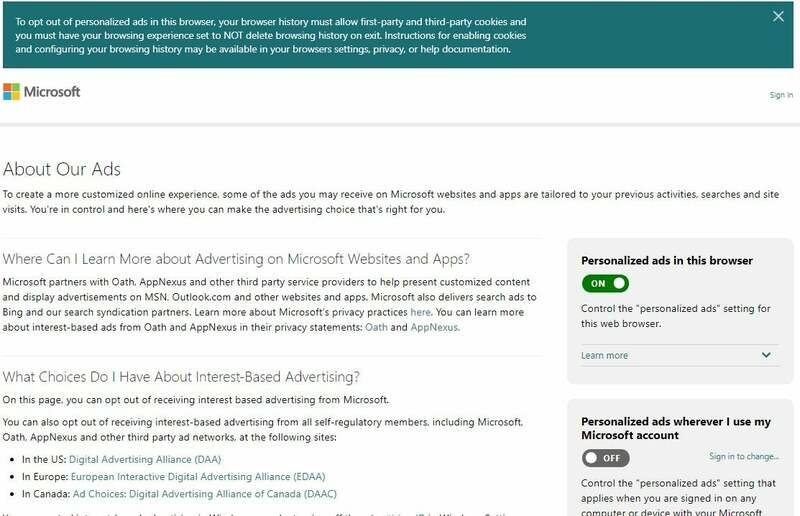 Unless you’re connected to a thoroughly locked-down domain, you are giving some of your personal data to Microsoft. 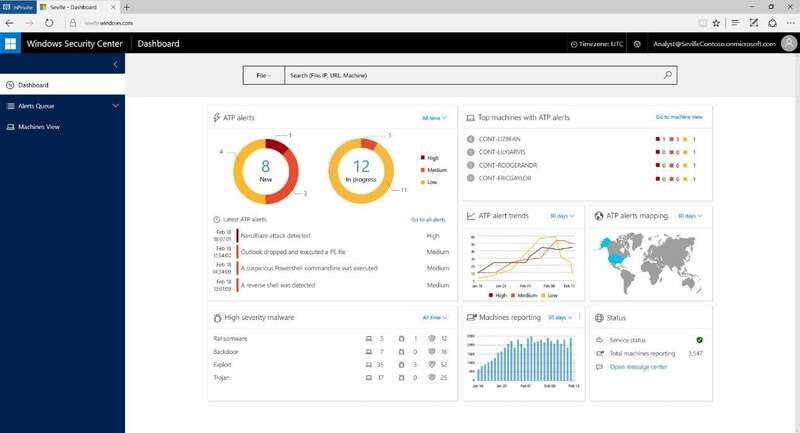 Nobody knows what data is being sent to the Microsoft cloud, although a white paper from Microsoft gives an overview of what’s available. We’ll never know for sure what’s going from individual machines to Microsoft, because the data’s encrypted before it goes out – as it should be. There is no tip here. I just think you should know this. You can reduce the amount of data Windows 10 collects about your behavior and sends to Microsoft by adjusting the privacy setting. Click Start > Settings > Privacy. On the left, wade through all 18 headings. On the right, turn off anything that makes your skin crawl. You have more than 100 individual privacy points to choose from so get some coffee and settle in. Pay particular attention to the Feedback & diagnostics pane. Set “Windows should ask for my feedback” to Never. Set Diagnostic and usage data to Basic. I’m afraid that’s the best you can do here. 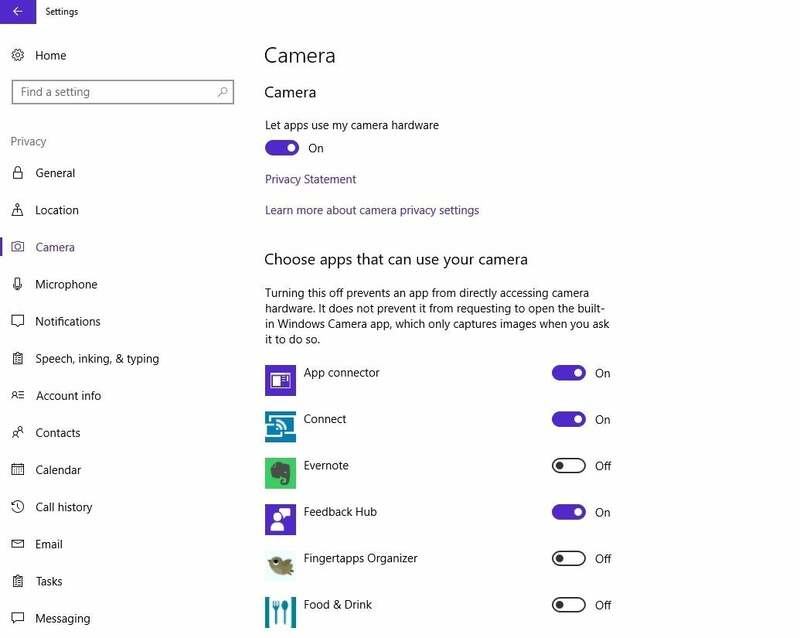 Microsoft makes a big display of those 100-or-so privacy settings. You can also work through another official group of settings to dial back the intrusion somewhat. In the Start > Settings > Privacy > General pane, near the bottom, click the link to “Manage my Microsoft advertising and other personalization info.” That takes you to the opt-out website where you can opt out of some customized ads. If you want Cortana to know enough about you to tell when to shine your shoes or order a bagel before you have to leave for the airport, let her snoop all she wants. If that makes you hinky, tell her to stop. 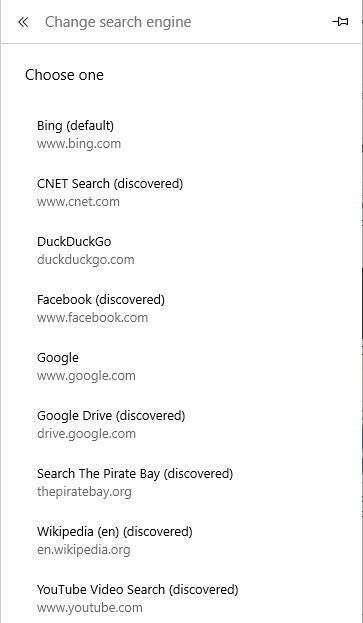 Then click the link to “Go to Bing and manage personal info for all your devices.” That takes you to a web page where you can start shooting down individual snoops. It only takes a few minutes to cull most of the ads in Windows 10. Most of the apps that pop up on your screen as “Suggested” are also ads. To stop getting those suggestions click Start > Settings > Personalization > Start, then slide “Occasionally show suggestions on Start” to Off.